President Donald Trump tweeted: "Fire at Trump Tower is out. Very confined (well built building). Firemen (and women) did a great job. THANK YOU!" A man died after a fire erupted in an apartment on the 50th floor of Trump Tower in Midtown on Saturday evening, authorities say. The FDNY said six firefighters suffered burns and other non-life-threatening injuries in addition to the 67-year-old man, a resident of the apartment who had been in critical condition following the blaze. The NYPD identified him late Saturday as Todd Brassner, an art collector who knew Andy Warhol and had fallen on hard times. Firefighters responded to an automatic alarm after the fire broke out in a large apartment on the 50th floor of the tower, FDNY Commissioner Daniel Nigro said at a press conference. A barrage of fire trucks could be seen surrounding the Fifth Avenue building shortly after the fire started shortly before 6 p.m. Nigro said about 200 firefighters battled the blaze. Videos on social media show thick, black smoke and flames rising from the building as people watch below. Nigro said "the apartment was virtually, entirely on fire" when firefighters arrived. Neighbors said Brassner had an extensive guitar collection in the apartment, and the Associated Press reported he was an art dealer who had purchased his 50th-floor apartment in 1996. Brassner is mentioned several times in Andy Warhol's posthumously published diaries, with references including lunch dates and shared taxis. The artist signed and dedicated at least one print to him. But in recent years, Brassner came upon money difficulties and was "plagued with debilitating medical problems." Shortly before 8 p.m., the FDNY tweeted that the fire was under control. Three firefighters were taken to hospital with minor injuries, while three more were treated at the scene. Nigro said the cause of the inferno was not yet known. President Donald Trump has an office and a penthouse home in the building, but he was not in New York on Saturday. Nigro said the Secret Service checked the president's residence at some point and that there was no fire damage. Melania Trump and the couple's son, Barron Trump, were both in Washington, D.C., according to the first lady's spokeswoman, Stephanie Grisham. "The Secret Service can confirm that no protectees or members of the First Family were present at the time of the fire," a Secret Service spokesman told NBC News. "Ongoing Secret Service security operations remain in place. There have been no injuries to any Secret Service personnel." Trump's son, Eric Trump, also took to Twitter to thank firefighters and police for their quick response. "Thank you to the amazing men and women of the NYFD who extinguished a fire in a residential apartment at @TrumpTower. The @FDNY and @NYPD are truly some of the most incredible people anywhere!" New York Senator Chuck Schumer also reacted to the fire on Twitter, writing: "Thinking tonight of those lost and injured in the fire that broke out in Trump Tower today, and incredibly thankful to the @FDNY for their work that kept more NYers from harm." 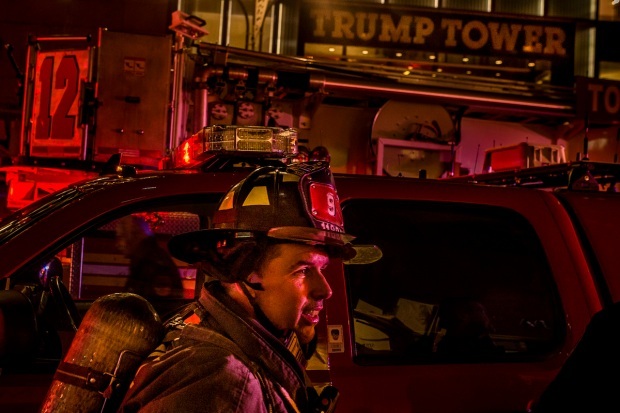 According to the city's Department of Buildings, there have been no complaints in the past year and a half about any fire issues at Trump Tower. "It's a well-built building. 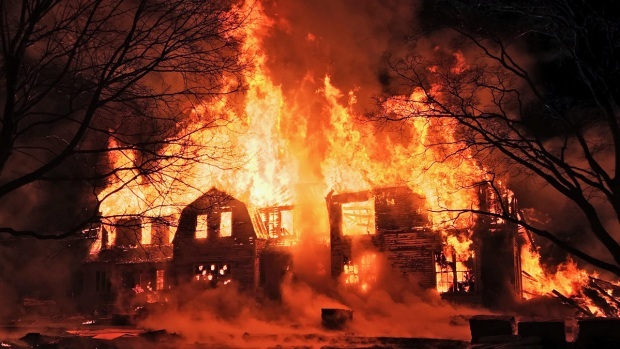 The upper floors, the residence floors, are not sprinklered," Commissioner Nigro said at the press conference.